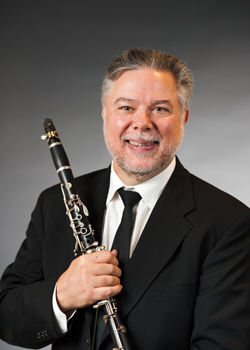 New Jersey Symphony Orchestra Principal Clarinetist KARL HERMAN joined the NJSO in 1979. A Pittsburgh native, he attended Carnegie-Mellon University as a student of Jerome Levine, and he received his Master of Music degree with honors from the New England Conservatory of Music, studying with Peter Hadcock of the Boston Symphony Orchestra. Herman has performed with many ensembles based in the New York area, including the New York Philharmonic under Kurt Masur, Yuri Temirkanov, Valery Gergiev, Leonard Slatkin and André Previn; the Concordia Chamber Orchestra; American Composers Orchestra and American Symphony Orchestra. He has also appeared with the Detroit Symphony Orchestra and Concerto Soloists of Philadelphia. Herman has performed with American Ballet Theater, San Francisco Ballet, Pacific Northwest Ballet, New York City Opera National Company, Joffrey Ballet and the Prism Chamber Orchestra. He has attended and performed at the Adare Festival in Ireland, Cape May Festival and Craftsbury Chamber Music Festival; he has toured with the Aspen Wind Quintet. 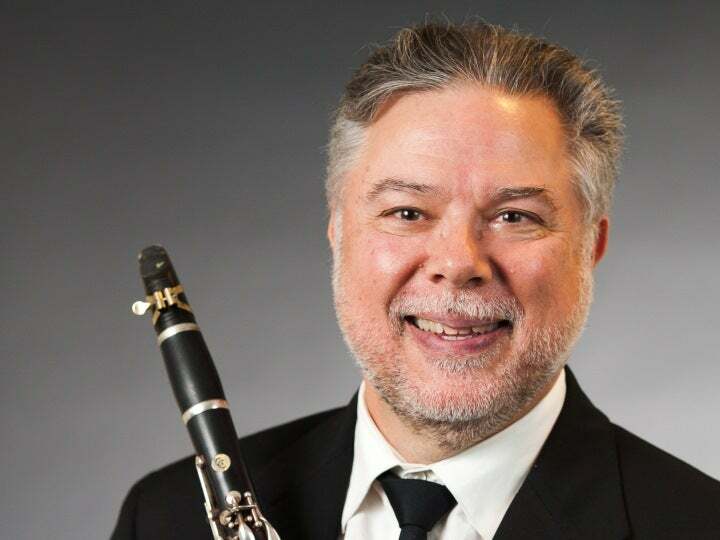 Herman has been a frequent concerto soloist with the NJSO and other ensembles, performing Mozart’s Clarinet Concerto, Strauss’ Duet-Concertino, Harbison’s Double Concerto and Debussy’s Premier Rhapsody. In the 1997–98 season, Herman performed Copland’s Clarinet Concerto, with former NJSO Music Director Hugh Wolff conducting the NJSO for the first time since becoming Music Director of the Saint Paul Chamber Orchestra. Herman teaches privately and is on the faculties of Princeton and William Paterson Universities. How long have you been with the NJSO? Name a memorable moment of your tenure. I’ve been with the NJSO since 1979, and I don’t think anything sticks out in my memory as much as when we played “The Star-Spangled Banner” after 9/11. The way that song is supposed to be performed is so codified—it’s supposed to be played in strict, military, patriotic style. But [former NJSO Music Director Zdenek] Macal conducted it like a prayer. Nothing has ever struck me like that. His instinct at that point in time was absolutely correct—it was such an amazing thing to do, it was exactly right at the time. When did you know you wanted to play the clarinet as a career? About the time I went to college. Originally I thought I wanted to go into engineering, but until I got to a good chemical-engineering school, I didn’t understand what it really was. I found out you would be assigned a tiny piece of a huge problem; I had always imagined working on grand concept. So I went to graduate school at the New England Conservatory. I also earned a bachelor’s degree in education at the same time I got my first performance degree. Everyone told me the chances of actually playing for a living are very slim. I listen to jazz. I’m a big fan of Oscar Peterson, Art Tatum and a lot of keyboard players, and I’m friends with Kenny Koplowski, a jazz clarinet player. I’m intrigued by old historical players. Youtube.com has links for all kinds of fascinating stuff. I like hearing something that sounds so immediate. Tools. You’ve gotta have tools to eat, to make an instrument with. You can’t eat a clarinet! On an island, finding reeds would be a nightmare. It would be easier to carve out a bamboo flute or something. If you could have dinner with anyone, who would it be, and what would be on the menu? It would be great to have dinner with Peter Gabriel. He’s one of the people who understand music and technology, and where it might be headed. I might not like him, but I could sit there and listen to him. But I think I’d really want it to be dinner with my wife and son. The book is still out on the dog—he just chewed up the TV remote. If I could turn back time, I’d make it my dad. My dad would eat crabcakes.